Having worked with MRI machines for a few years, I learned that even non-ionizing radiation have health effects. Mainly through heating. It's like a microwave, and the heated areas suffer health effects. And due to electromagnetic waves interacting constructively and deconstructively after bouncing off of things, it's not always clear where the "hot spots" are that have more EMF energy. That said, some frequencies are obviously better at heating than other frequencies. Like microwave frequencies, because they're tuned to the rotation frequency of a water molecule, which is how they heat up the food. But things like 5G or 4G use other frequencies. But they can still have heating effects on other molecules. The real question is are there any realistic circumstances where the heating from radiation is surpassed by the ability of the body to drain that heat naturally. In an MRI machine, you cannot be in the machine for more than 12 hours straight for this exact reason. Most people are only in there for 15 mins to 1 hour anyway. You are also not supposed to cross your legs because that can form a conductive loop with your legs that can pick up more EM waves and result in much greater heating. There was a famous incident where a sedated patient accidentally had their legs crossed when put in an MRI and it resulted in serious burns after only an hour in the machine. So they instituted more intense limits on the amount of time and how much heating but non-ionizing EM waves a person can absorb per day. So then my question is, do the diseases they're alleging come from the 5G relate to things caused by localized over-heating in the body from EM absorption? Also another possibility is that, like a home microwave is tuned to one of the resonant frequencies of a water molecule, what if the 5G frequency (or even 4G for that matter) just happens by luck to match up to the resonant frequency of some specific bond in some specific protein, and that bond gets overheated and the protein changes shape and then cannot operate correctly, and this leads to a disease? However it's often the case that a frequency would match up with the resonant frequency of many many different molecules, but if one of those happened to be a weak chemical bond that was disrupted by heating from EM in a non-ionizing way, and that changed a molecule that could result in disease... I could see this potentially being possible. 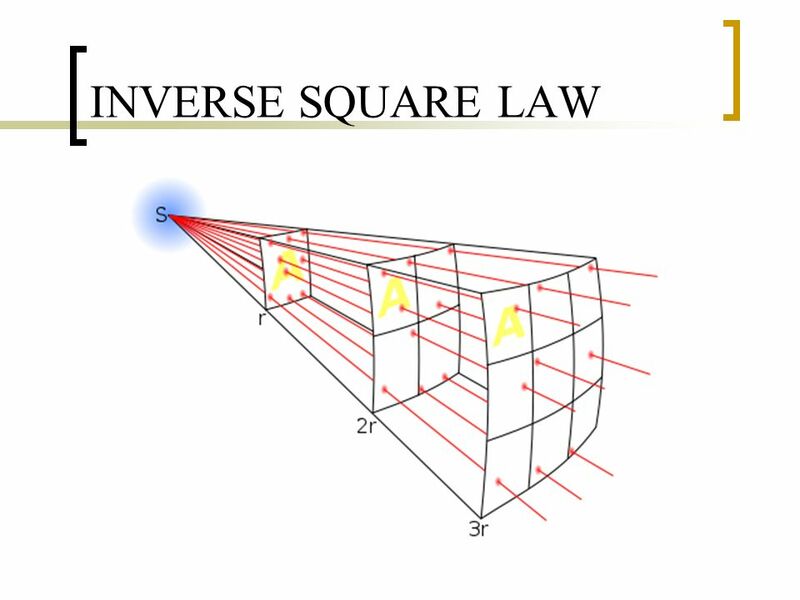 The main thing with EM waves is that their power follows the inverse square law. This means that if you're 2x as far away, the power of the EM waves is 4x as weak, because the wave spreads out in a sphere. So if this is something that worries you, simply add a bit of distance between yourself and your EMF-transmitting device. If you go from 1cm to 10cm away from it (10x the distance), it's 100x less power hitting you. It doesn't take much, thanks to the inverse square law. Thanks for the detailed reply, really good info to consider. I probably should have put this in the conspiracy category. The science, facts, and evidence are maybebeing loosely played with currently. Some of the findings and studies look sound, then you come across a site stating, "If you have these symptoms you may be EMF sensitive..." and the list contains any ache or pain that a 30 something adult has on a weekly basis. That said, I can see telecommunications companies not being forthcoming with any negative findings, after all they are seeking profits. In studies of ionizing radiation, it's been shown that any cellular mutation may not be apparent for up to 20 years. And they really don't have much to go on, the bulk of the data collected came from the dropping of the atomic bombs back in the 40's. What if constant exposure to 5G frequency needs time to become detrimental? Or maybe there is a genetic component that predicts certain individuals can be affected but others can't. I think ultimately they don't know, and I'm not sure they should be increasing the exposure of populations if they don't. Personally, I haven't read enough about the studies to have a position but I'm paying attention. I do have concerns about exposure to a developing fetus and to very young children. The cellular turn over is so fast, and they are being bombarded by this tech. Personally, I don't put the phone to my ear anymore, but I still put my computer on my lap. Really interesting about MRI causing burns when crossing your legs, I didn't know that. I spent a week cross training to be an MRI tech about ten years ago (I didn't like it at all so I stepped out and let someone else do it, I'm not sure if they even cross train anymore). Burns weren't mentioned, they were more focused on not bringing oxygen tanks in the suite. What if constant exposure to 5G frequency needs time to become detrimental? And because of the photoelectric effect, it's known that a higher frequency is required to produce ionization. For a lower frequency, there is no intensity high enough that will produce ionization. The only effect it can have is through heat, which is just kinetic energy of molecules, vibration and translation across all movement modes of the molecule. And because of a theory called the Equipartition Theory, it shows that heat put in to one vibrational mode will spread itself across all other ways the molecule can move and jiggle. It will also spread to nearby molecules via heat conduction. So as long as non-ionizing radiation is putting in less heat to a molecule than is able to drain away via conduction, nothing bad will happen. The problem is that we use devices that put in more heat than can be drained, like MRI machines, so we have to limit how many hours a day you can be in one to prevent internal overheating and burns/cooking. But many body parts are very temperature sensitive, where a few degrees can make a difference, and perhaps degrade proteins that can't handle the slightly higher temperature. Like how your body works when you have the flu and your body temp goes up to help break down invader proteins and molecules that can't handle the high temperatures. So there's a lot to consider, and it's far from an open-and-shut thing. But I don't think 5G is like a health crisis any more than 4G or wifi was. But perhaps I am wrong, I don't know much about the frequencies being used for 5G. That makes sense. Would it be ok if I throw a question or two on this topic at you in the future? You break it down well, and my brain is foggy at the moment. I'll have a "what about this" moment probably on Friday. Sure, I'd be more than happy to answer any questions! I enjoy talking about this stuff. Maybe someday I could talk about this sort of thing on a podcast episode. Thanks! Speaking of podcasts, any considerations to starting your own? I know it's a huge amount of time, and not sure if it is profitable, but it's a good platform for you. And a random thought concerning children and exposure to 5G, children are much more able to tolerate high fevers than adults. Maybe they would be more adaptable to the tech than adults, if the tech does present a problem. My day is packed today, I will search around tonight and post if I find a study that has looked at it. I've thought about it a bit, I have a magnora7 youtube channel, but I've only made two episodes. I've been thinking about getting in to it more and getting a little serious with it. Interesting idea on the 5G, let me know if you figure out anything further.